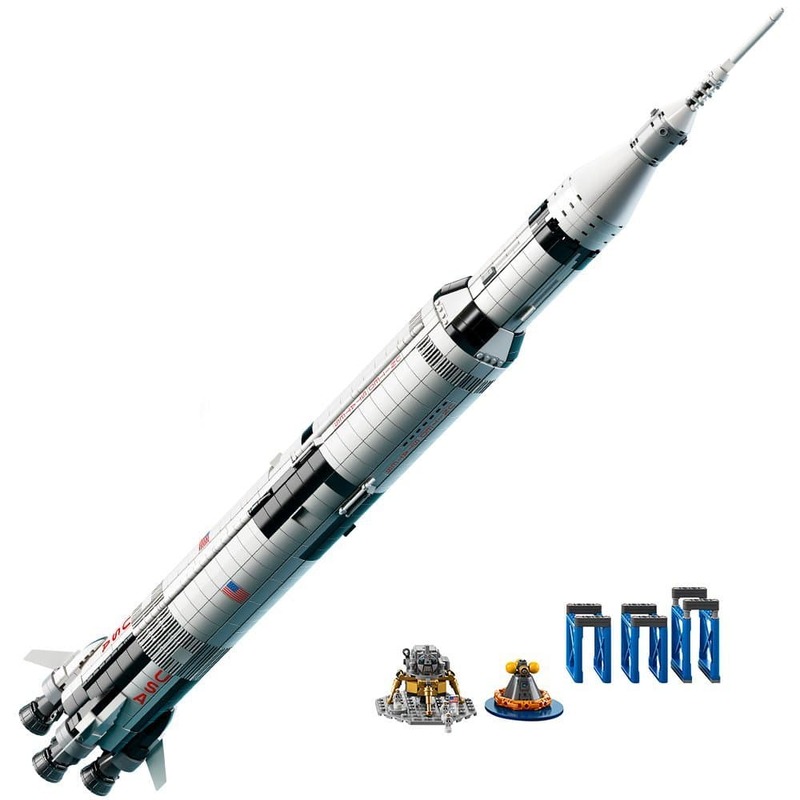 LEGO Saturn V space rocket : a giant leap for the Apollo program fans ! 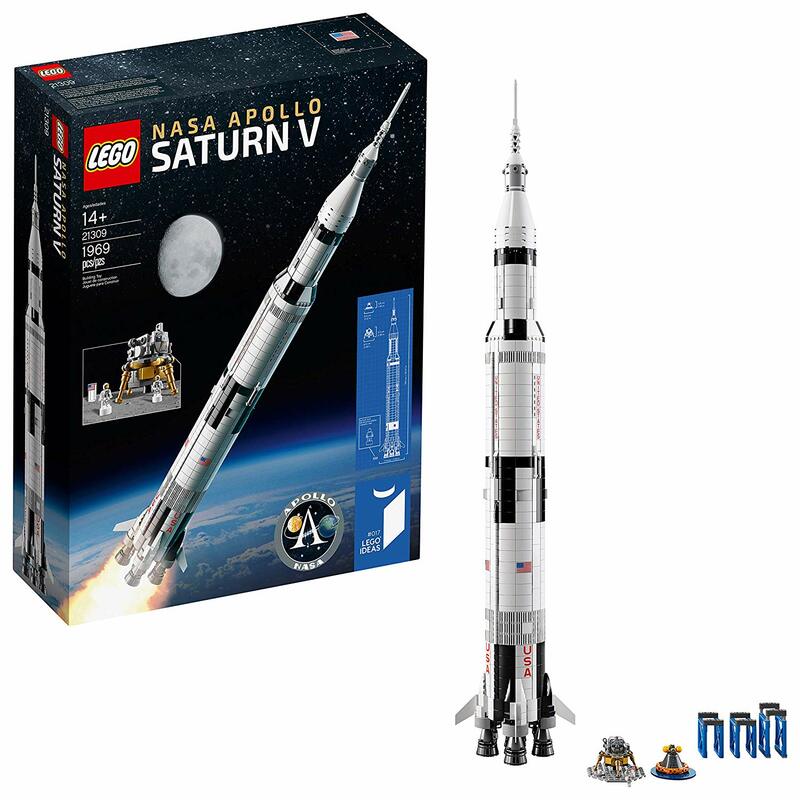 When it was released in June 2017, the LEGO Saturn V set was the biggest LEGO Ideas ever released : 1969 pieces ! Congratulations LEGO for the wink … It was quickly out of stock when it was released. “LEGO Ideas”, what is it ? People upload a mockup on the LEGO Ideas site, it’s a dedicated website. Some time ago, LEGO was in big trouble. 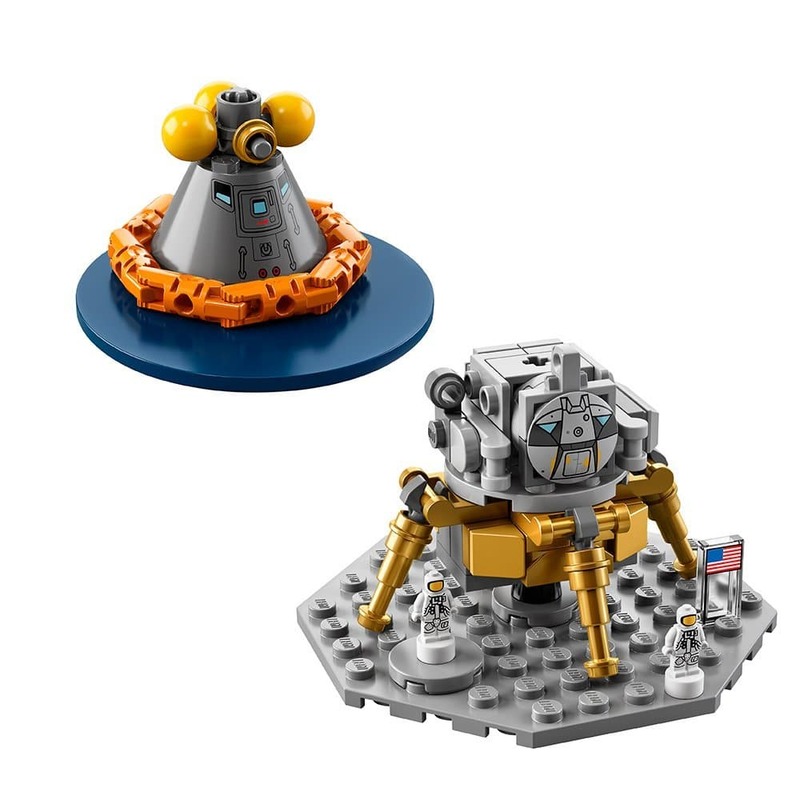 One day, they bet that LEGO fans had good ideas, so they used that, and they came up with a platform where LEGO fans could come up with their ideas. The projects are submitted to the vote of other people, and after 10 000 votes the project passes in the LEGO committee, and LEGO decides whether or not they commercialize it. They do their small modifications so that it remains compliant and so that it does not have particular montages to achieve. This allows anyone to participate in the creative process. On the assembly instructions, there is the history of the Apollo program, some technical details with pretty archival photos, the trip to the moon, the photo of the designers who participated in this project. 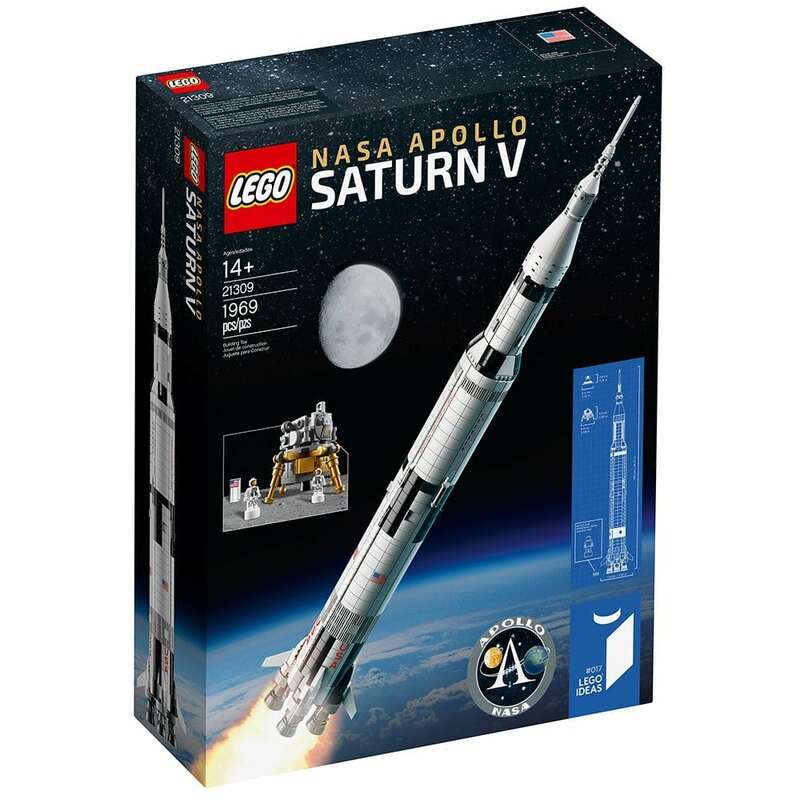 The assembly phase of the LEGO Saturn V is done with numbered bags. It’s a bit for beginners, it’s a little too easy… Some purists unpack everything and mix everything, it adds something to the building experience. 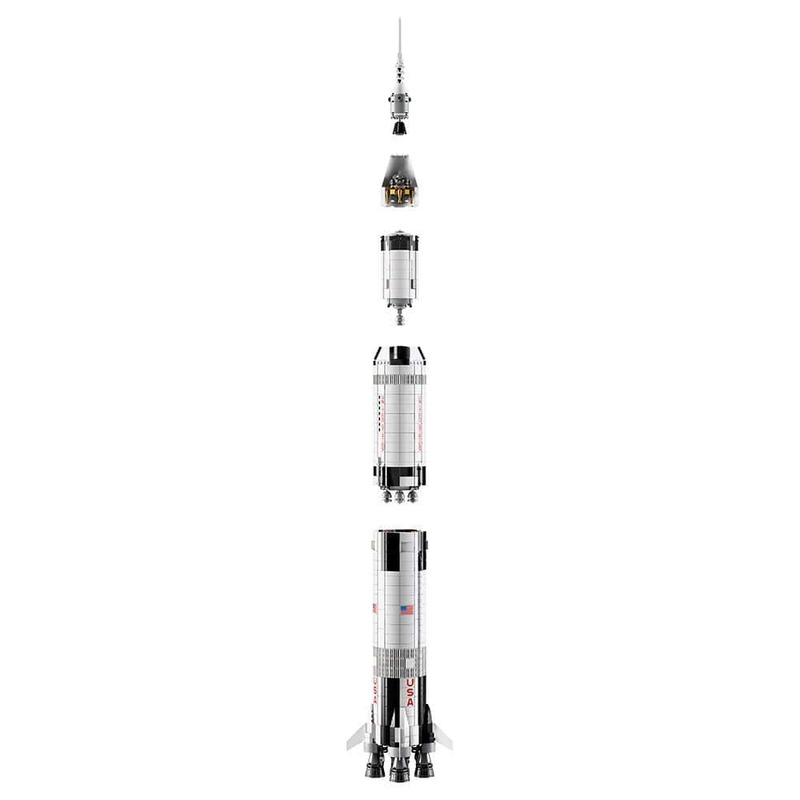 Once mounted, the LEGO Saturn V is over 1.48 meters tall ! There are invisible elements, which are located inside the rocket. LEGO really took care of the details. It’s not just a big block to climb, it’s really well done. LEGO really seems to listen to his fans. 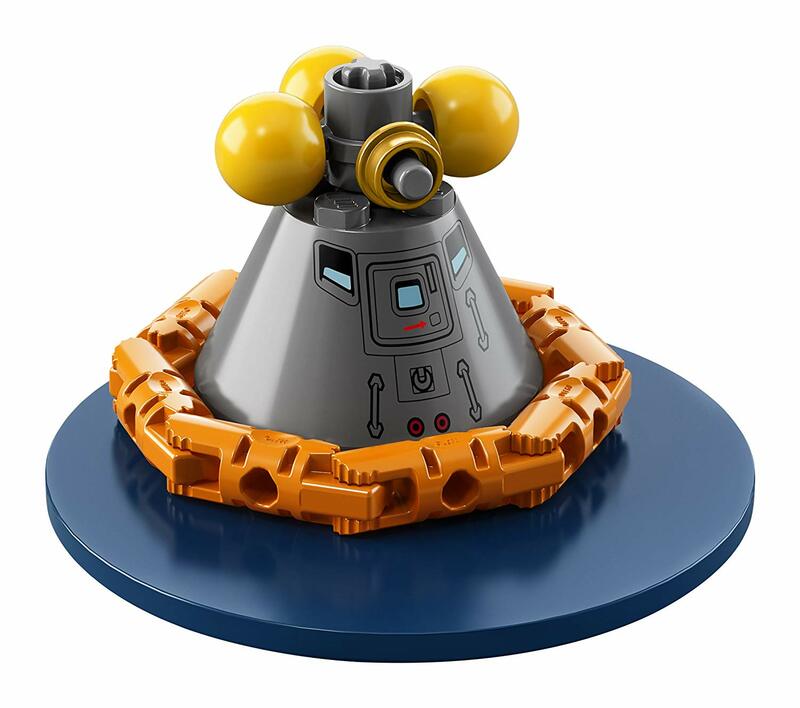 On one of the LEGO Saturn V parts for example, there is a pattern printed directly on the piece. It’s not stickers. There was a problem on a previous LEGO Ideas on Big Bang Theory, where there were huge decks of stickers. Buyers were angry about that, so LEGO is really using feedback from customers and that’s what makes them stronger. Once the 1st stage is finished, we realize that it is really superb quality. We can hold the block with one hand, it holds, it’s not something fragile, or that we expose and does not move. It’s really very nice. There are some great details on the thrusters. The system of fasteners inside is very ingenious, very nice, it makes live a beautiful building experience. For the 2nd stage, it’s the same. Already the last bag … Montage finished ! Everything comes off very easily to see the elements inside, without being fragile. The system of clips is really well thought out. 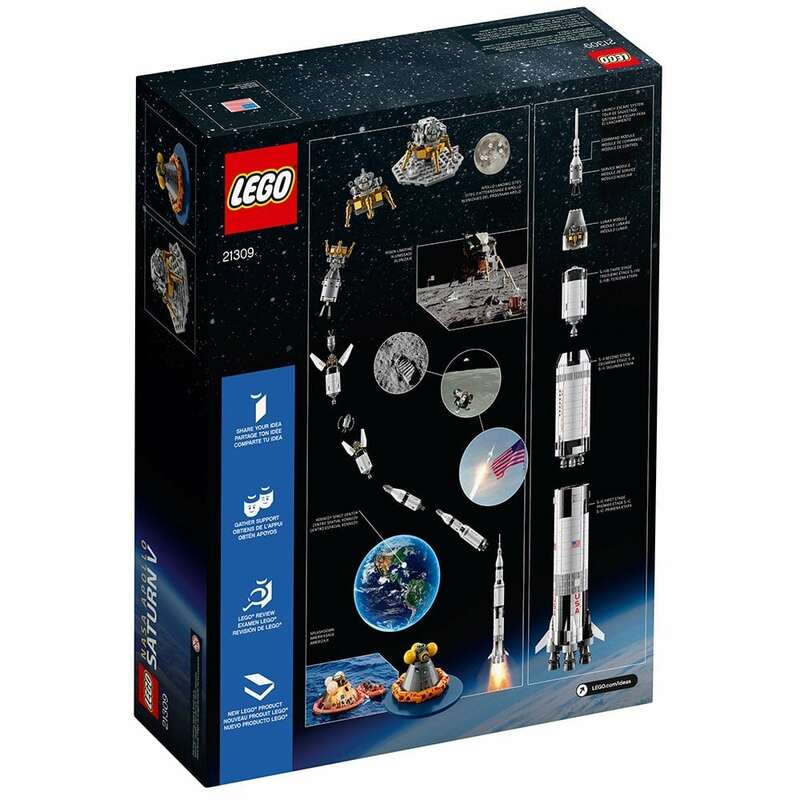 This makes it possible to expose the LEGO Saturn V either as spare parts or as a single unit. 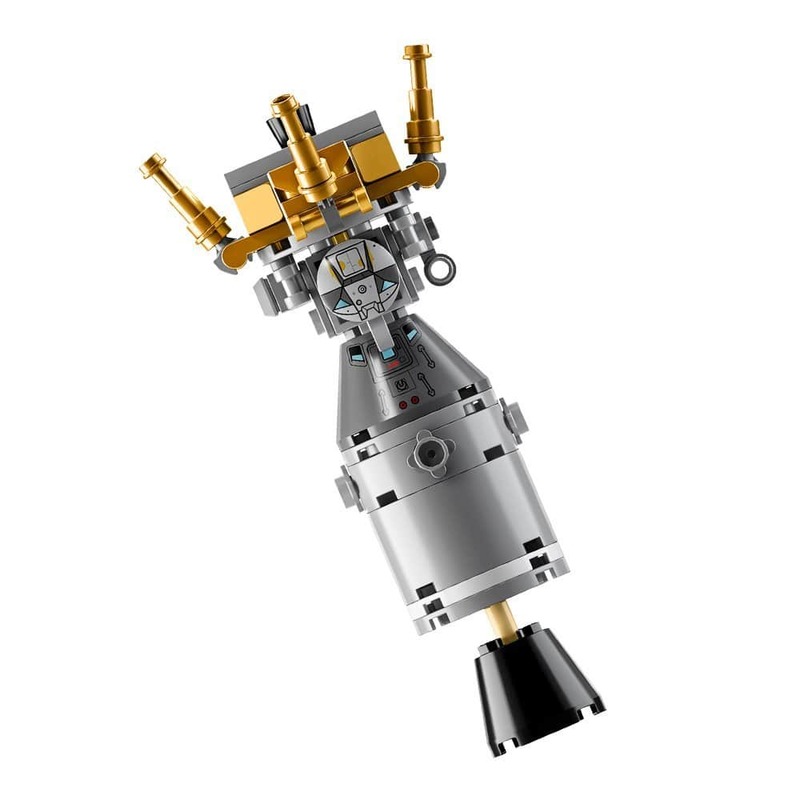 Don’t forget to build the Eagle module with the two small LEGO astronauts, Neil Armstrong and Buzz Aldrin, we do not forget the small American flag … LEGO really took care of the small details. The return capsule has small buoys for its landing in the sea. 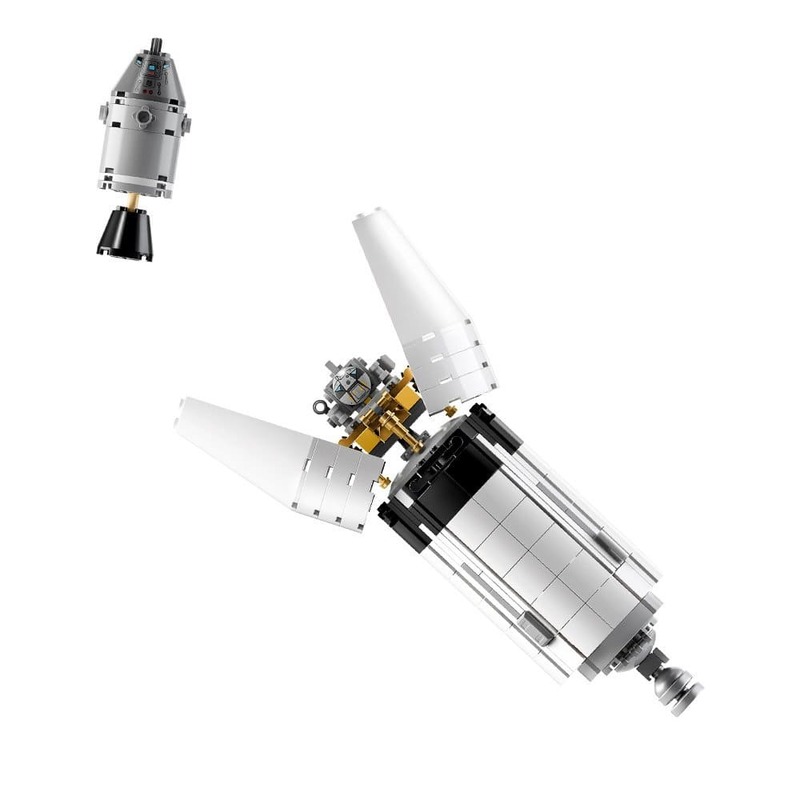 The Eagle module naturally takes place in the head of the LEGO Saturn V.
Bonus 2: What if we launched the LEGO Saturn V space rocket for real ? Just kidding… No ?